Resort vacations are extremely popular for family getaways, and the more fun that's offered on the property, the better. A number of places have upped the fun factor by providing waterpark features, including lazy rivers. These long, winding pools, with (usually) gentle currents are highly enjoyable and relaxing as you float around. A lazy river usually consists of a shallow pool that flows like a long, winding river. This means that most hotels that boast such a water feature are large and sit on huge properties. Be sure that a large facility is what you are interested in and pack lots of sunscreen to keep sunburns at bay. To start your search, let's begin with resorts in the USA then make our way over to the Caribbean. If your family loves to float along a lazy river, you'll be spoiled for choice in Orlando. Of course, you'll find fabulous lazy rivers at many of the area theme parks and waterparks. Or you can up the ante by staying at one of these hotels and resorts that offer inviting waterways where you can relax in an inner tube and let your cares drift away. 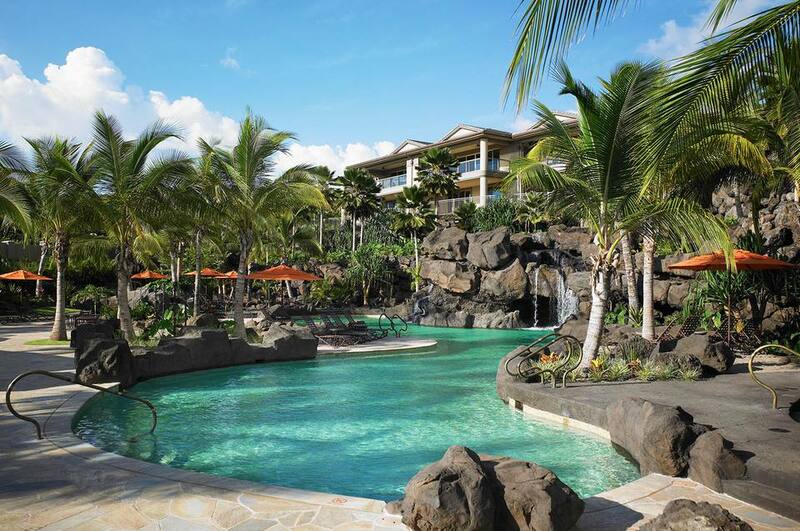 This Waldorf-Astoria Resort is known for its pool complex, which has a 200-foot-long series of nine pools connected by a river and includes water slides, waterfalls, caves, and white-water rapids. The resort also has Camp Grande for kids age 5 to 12, a kids club with a pottery room, wading pool, and more. just fifteen minutes from the Phoenix Airport, this resort has a wave pool, river float, kiddie pool, and water slides. About.com's Guide for Phoenix has more suggestions for resorts with water slides, lazy rivers, and more on the property, including the JW Marriott Desert Ridge Resort & Spa. Families love all-inclusive resorts, and this one has a nice lazy river to enjoy. Other features here include a good price point, a location just five minutes from one of St. Lucia's international airports, and a large kids' club. Families will also find all-inclusive pricing at this major complex, which has five resorts and a location approximately 30 minutes south of Cancun. One pair of resorts has five shared pools that include a lazy river, a lake-style pool, wave pool, kids' pool, and activity pool. The Mayan Riviera is a great place to visit with many fun things to do outside your resort: explore Mayan ruins, a giant coral reef, snorkeling lagoons, and unique "eco-theme parks" such as Xcaret. Also in the Caribbean, but not an all-inclusive, "El Con" has a 2.4-acre water park with slides and a lazy river. Bonus for U.S. citizens: no passports are needed to visit Puerto Rico. This mega-resort has 140 acres of water park, lagoons, and pools, including a state-of-the-art River Loop: guests ride an inner tube through lifts, drops, white-water, and an 80-foot underground tunnel — just part of the fun in the giant AQUAVENTURE water park. Meanwhile, features for families at the Atlantis include kids pools and play zones, Atlantis Kids Adventure kids club, designed in partnership with LEGO, CRUSH Club for teens, and much more. Do Waldorf Astoria Hotels Deserve Their Famous Name?